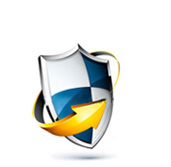 Faronics Anti-Virus provides high-performance, proactive endpoint malware protection. Best of all, it integrates seamlessly with Faronics Deep Freeze so you can update your definitions even while your workstations are protected in a Frozen state! Faronics Anti-Virus also provides advanced email protection, with direct support for Outlook, Outlook Express, Windows Mail and any other email program. Developed from the ground up Faronics Anti-Virus Enterprise combines anti-virus, anti-spyware, and anti-rootkit technologies into one tightly integrated solution. Combines an Antivirus, Anti-Spyware, Anti-Rootkit, Firewall and Web Filter in a single solution. Uses multiple layers of detection including heuristics, behavioral analysis, and signature detections. Protects against new threats with the advanced MX-Virtualization technology for real-time malware behavior analysis in a virtual environment. Firewall includes an intrusion detection and prevention system that contributes to a safer computing experience. Utilizes a high-speed threat scanning engine, can scan large volumes of information at speeds much faster than the competition. Central management through the Deep Freeze Cloud web-based console or the Faronics Core console makes deployment, configuration and management of updates a breeze. Core-Console. Faronics Anti-Virus can be installed stand-alone using the Enterprise class Core-Console. This is included with the purchase of the on-premise license. Deep Freeze Console. If you are already have Deep Freeze Enterprise installed, you can add Faronics Anti-Virus to the existing Deep Freeze Enterprise console. There is no need to install the Core-Console. This is included with the purchase of the on-premise license. Cloud. With the purchase of the Cloud license, there is no need to install any local management console. All management occurs in the Cloud console. Stay safe with the most comprehensive protection system. Using MX-VirutalizationTM you can analyze malware behavior in real-time to protect against new threats. Advanced anti-rootkit technology finds and disables dangerous hidden process that can infect your endpoints. Routine definition updates, threat engine updates, and automatic USB device scanning help keep PCs safe from malware. The built-in firewall, information detection system, and host intrusion prevention system all contribute to a safer computing experience. Lighter and faster means a better user experience. Anti-virus solutions have been known to slow user machines and have negative impacts on the network. But not Faronics Anti-Virus! It can scan large volumes of information at over 2200 MB/second, it’s up to 300% faster than the competition, and it’s armed with a small disk footprint and low RAM usage, which makes it easier on your CPU consumption. Central management for network-wide protection is made easy with Faronics Core. The built-in management console comes standard (yes free) with every enterprise deployment and allows you to deploy, configure, and manage updates centrally all from the convenience of your own desk. Faronics Deep Freeze integration ensures your anti-virus protection is up-to-date in the simplest way possible. Designed to work together seamlessly, now you can update Faronics Anti-Virus even while workstations are Frozen. Enjoy Enterprise level protection with the latest definition file updates without the hassle of scheduled maintenance periods. IT security is a difficult job. With over 73,000 unique pieces of malware identified daily, you need the best anti-virus software you can find. Faronics Anti-Virus consistently receives top marks because it’s lightening fast and doesn’t slow users down. Built from the ground up, the powerful engine can scan up to 300% faster than the competition. When detection rates can make all the difference, faster really is better. It’s so light and efficient that users won’t even know it’s running in the background. The built-in Faronics Core Console makes it easier than ever to centrally manage Faronics Anti-Virus across your entire network. It allows you to deploy, configure, and manage updates all from the comfort of your own desk. It was designed to integrate seamlessly with the restoring software Deep Freeze so now you can ensure your machines are protected by the latest security updates without setting up maintenance periods. Whether end users are working or playing, Faronics Anti-Virus offers advanced security with active protection in real time. Using multiple layers of detection including heuristics, behavioral analysis, and signature detections, it’s got you covered against the most advanced malware threats. And it includes a number of added features like web filtering, ad blocking, and anti-phishing email protection to prevent unsuspecting users from falling into sneaky malware traps.